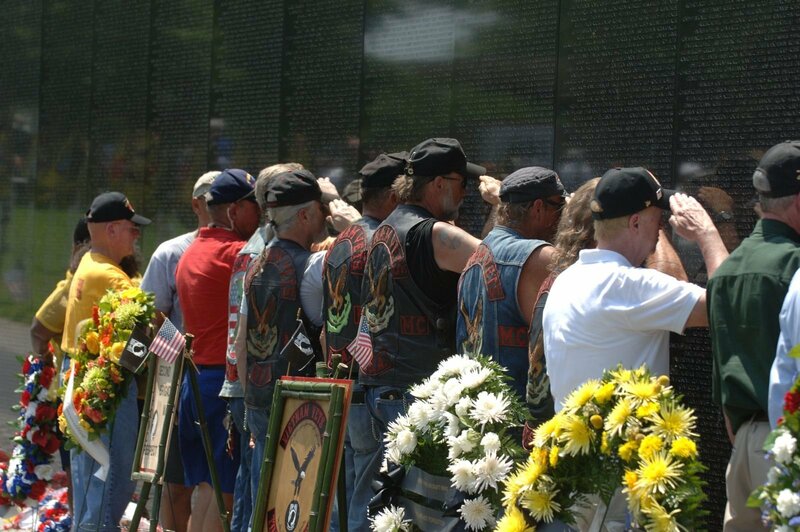 The Vietnam Veterans Memorial stands as a symbol of America's honor and recognition of the men and women who served and sacrificed their lives in the Vietnam War. Inscribed on the black granite walls are the names of more than 58,000 men and women who gave their lives or remain missing. Yet the Memorial itself is dedicated to honor the "courage, sacrifice and devotion to duty and country" of all who answered the call to serve during the longest war in U.S. history. 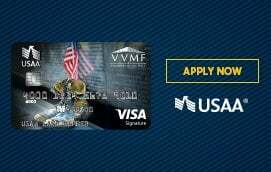 The Vietnam Veteran's Memorial Fund, Inc. is the 501 (c)(3) nonprofit organization authorized by Congress in 1980 to fund and build the Vietnam Veterans Memorial in Washington, D.C. 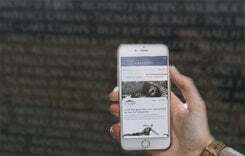 Incorporated on April 27, 1979 by a group of veterans led by Jan C. Scruggs, who was wounded and decorated for service in Vietnam, the organization sought a tangible symbol of recognition from the American people for those who served in the war. 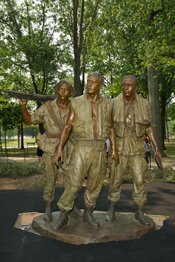 The Three Servicemen statue is the result of the controversy surrounding Maya Ying Lin's design of the Vietnam Veterans Memorial. Some veterans and their political supporters felt that The Wall was a "giant tombstone." It was too abstract a design for others who wanted a more heroic, life-like depiction of a soldier. To meet these concerns, it was decided that a traditional statue would be added as an integral part of the Vietnam Veterans Memorial. The late Frederick Hart, who had won third place in the original competition, was selected to create a suitable work of representational sculpture to be added to the Memorial site. The statue was unveiled in 1984, two years after The Wall's completion. 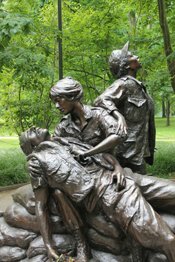 Thousands of women volunteered to go to Vietnam, risking their lives to care for our country's wounded and dying and to use their skills throughout the world in a variety of capacities. They were virtually unknown until one lone former Army nurse, Diane Carlson Evans, sought to acknowledge their valiant service. Her vision was for the country to learn of and recognize these brave women by placing a statue honoring their service near The Wall and the statue of The Three Servicemen. After a decade's effort and legislation signed by Presidents Reagan and Bush, the beautiful statue, designed by gifted sculptor Glenna Goodacre, of Santa Fe, New Mexico, graces the hallowed ground of the Vietnam Veterans Memorial forever. For the first time in America's history, a memorial that honors women's patriotic service was dedicated in the nation's capital. 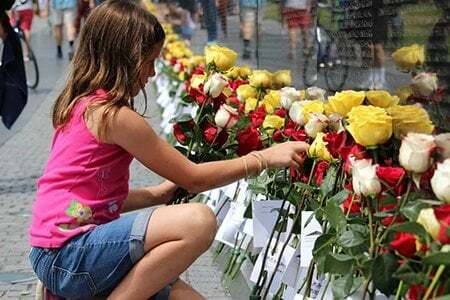 In April 2000, the In Memory Plaque was authorized by Congress to be added to the three-acre Memorial site on the National Mall. The plaque is intended to honor those who died after service but are not eligible for placement on The Wall due to Department of Defense policies. The 24-inches tall by 36-inches wide plaque is a simple granite stone placed within the northeast corner of the Three Servicemen Statue Plaza. It was dedicated on November 10, 2004. The inscription reads: "In memory of the men and women who served in the Vietnam War and later died as a result of their service. We honor and remember their sacrifice." If you are interested in purchasing a directory of names, please contact (202) 223-6706.